An Atlanta, Georgia transplant, Adaure is originally from Lagos, Nigeria where she was raised. 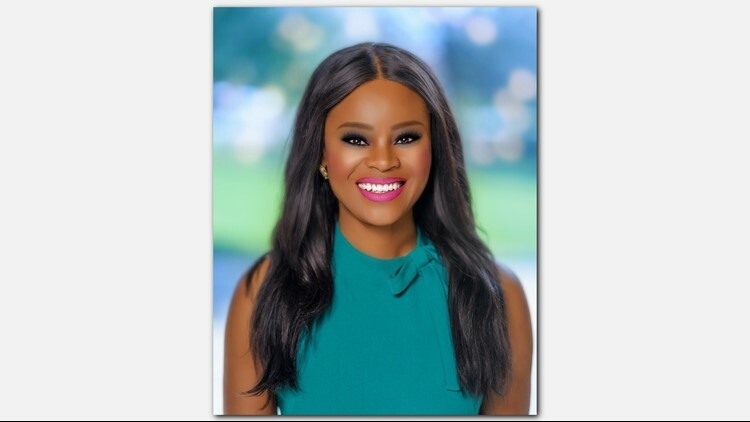 Adaure is a multi-skilled journalist who comes to WFMY News 2 from WCTI in New Bern where she was a Weekend Morning Anchor, a Produce, and a Reporter/MMJ. An Atlanta, Georgia transplant, Adaure is originally from Lagos, Nigeria where she was raised. However, her roots in North Carolina started in Charlotte where she was born and moved to right after completing high school in Nigeria. She attended UNC Chapel Hill from where she obtained a B.A. in Broadcast Journalism and Mass Communications and was actively involved in the Pan-African student group O.A.S.I.S. Adaure is not a stranger to the Triad, as while she was in college, she spent many holidays at the home of one of her best friends who grew up in Greensboro. For 8 years, she worked in Lagos, Nigeria as a freelance correspondent for international media operating in the West Africa sub region. She was the bureau chief and West Africa Correspondent for eNews Channel Africa (ENCA) which operates out of Johannesburg, South Africa and Arise News. She was also a field producer for international news agencies like Reuters, Al Jazeera, France 24 and France 5 TV as well as a media consultant to NGO, Fight Against Desert Encroachment (FADE). The latter led to being part of a multi country road expedition across the fringes of the Sahara Desert, from Lagos to Senegal. A trip which had her camping out in the open savannah in Mali, Burkina Faso and Senegal. Adaure founded Five Cowrie Creek Media which provided editorial, logistics and technical solutions and support for foreign journalists and TV crews coming to work on reporting projects in the West Africa region. While pursuing her goals, Adaure also became a household name in Nigeria, working full-time as a morning news anchor, breakfast show presenter, news reporter and producer at Silverbird TV. She was also a presenter/reporter for MNET's popular lifestyle and travel show 'Studio 53'. Sometime during that period, Adaure climbed the Great Wall of China and hung out with black foot penguins at the Cape Of Good Hope. She also worked as an assignment editor at KCOY/KKFX in Santa Maria, WTVD ABC 11 Raleigh-Durham and interned with the CNN LA bureau. Adaure is the oldest of 5 children of two wonderful parents. Her favorite foods include Jollof Rice, Moin-Moin, Egusi with Fufu and Hush Puppies.....Yes...Hush Puppies. I love all things News, Carolina Tarheel basketball, Super Eagles, Super Falcons and USA Women's Soccer and most recently dabbled into cooking. Adaure loves to dance and was once told "You're Born With Dancing Spirits" and she shares some that spirit through dance videos on her Instagram.